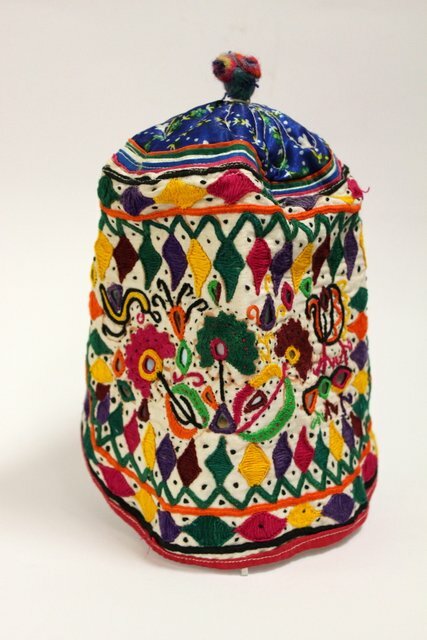 The region of Kutch in Gujarat, India, is inhabited by numerous large and small ethnic groups, each of them has their own style of work with cloth. The Rajput people who came here from the north a few centuries ago have their embroidery style too. 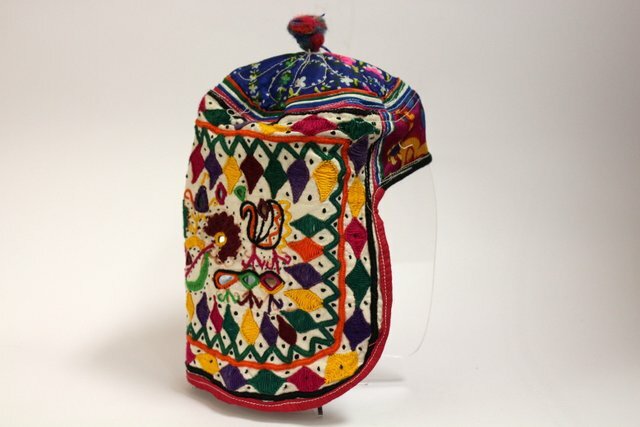 This headwear was made for a child to be worn during a holiday dedicated to naming a new member of society.